I wanted to make it my own. Also wanted to make it a head turner but to not be afraid to use it as intended. Simply the looks. The camo wrap and orange decals dressed it up. Surprisingly the orange grips really brought the whole sled together. Who woulda thought somethin as simple as the grips would really bring the whole sled together. The entire thing really and the story behind it. Its not often a guy gets his first one back. Usually its the one that got away story. I guess im proud that it looks cool and turns heads yet im not afraid to beat the hell out of it. 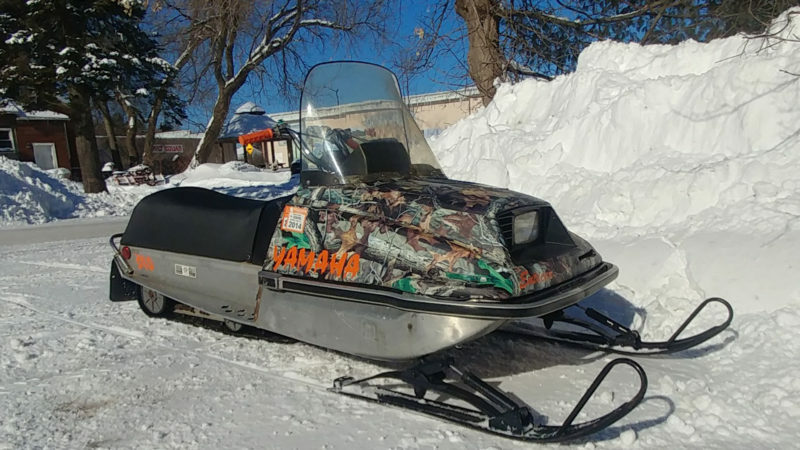 Dont get me wrong i mean i think fully restored sleds are cool but what good is something if its too “pretty” to really use. Those are called paperweights. I have a blast on mine. I get a great general response due to the uniqueness of it. My favorite reponse was when a buddy called it a gem which is how it got its name. 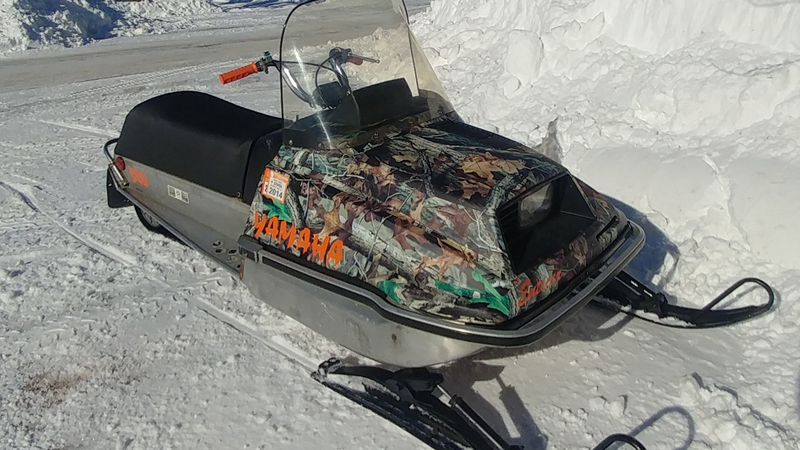 Finish - Paint: I put a advantage timber camo wrap on it and replaced the decals with orange decals in different fonts.